A unique program that encourages reading for pleasure for students in grades 3 - 6. Each year, 20 books are chosen for the Texas Bluebonnet Award Master List. Schools and libraries around the state participate in the program, encouraging students to read a minimum of five books from the list. In January, students vote for their favorite title. The author of the book receiving the most votes is the winner of the Texas Bluebonnet Award (TBA) which is presented at the Texas Bluebonnet Award Luncheon held during the TLA Annual Conference in the spring. 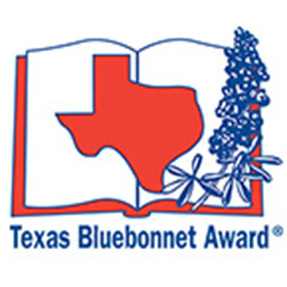 Register online to participate in the Texas Bluebonnet Award. You can print and mail the registration form and check if you prefer. Can’t remember if you’ve registered yet? Check your institution’s registration status. 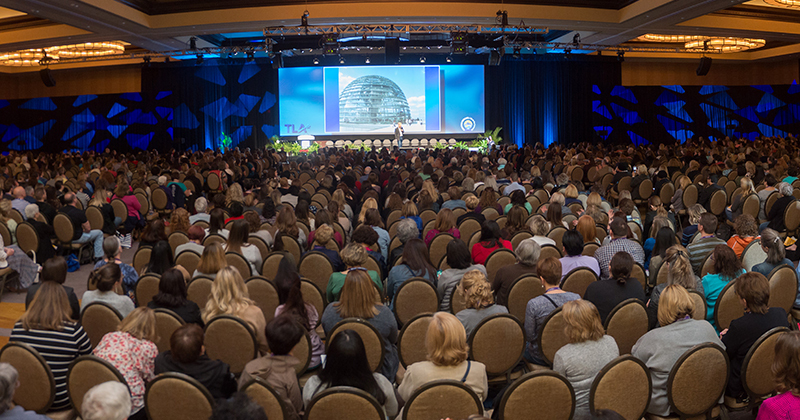 2019 – 2020 Master Resources will be posted soon! The Master List for the upcoming school year is announced each year at the Texas Book Festival in Austin. Students from around Texas attend and introduce the new list. Join us Wednesday, April 17 from 11:45am – 1:45pm. Purchase tickets for the luncheon by March 31, 2019. Patricia McCormick, author of Sergeant Reckless: The True Story of the Little Horse Who Became a Hero the winner of the 2018 – 2019 Texas Bluebonnet Award, will share insights on her writing and will accept the award from student representatives. McCormick is a former journalist and a two-time National Book Award finalist whose books include Cut, Sold, Never Fall Down, The Plot to Kill Hitler, and the young readers edition of I Am Malala. Patricia lives in New York. You can visit her online at www.pattymccormick.com. Menu: Baby Lettuce and Crisp Greens With Julienne Vegetable, Plum tomato, with Ranch and Champagne Herb Vinaigrette; Herb Seared Chicken Breast – Bourbon Fig Compote (gf); Roasted Shaved Brussels Sprouts and Sweet Potato Yukon Mash; Individual Hot Fudge Nut Cake – Mexican Vanilla Whip or Salted Caramel Crème Brûlée – Orange Liquor Whip and Berries; Assorted rolls served with butter; Coffee, decaf, hot tea, iced tea, and water. 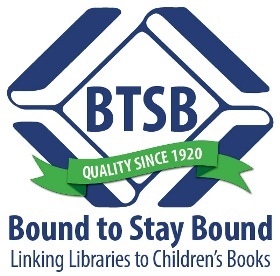 Attendees will have the opportunity to participate in a drawing for two very special items which celebrate the 2019-2020 Texas Bluebonnet Award Master List: a set of signed books, courtesy of the publishers with books on the list; and a beautiful quilt depicting the 20 books on the list courtesy of Bound to Stay Bound staff. Tickets are $5 each, check or cash only, and will be sold in the line to enter the luncheon and at a specific time during the luncheon. The drawing takes place at the conclusion of the luncheon.